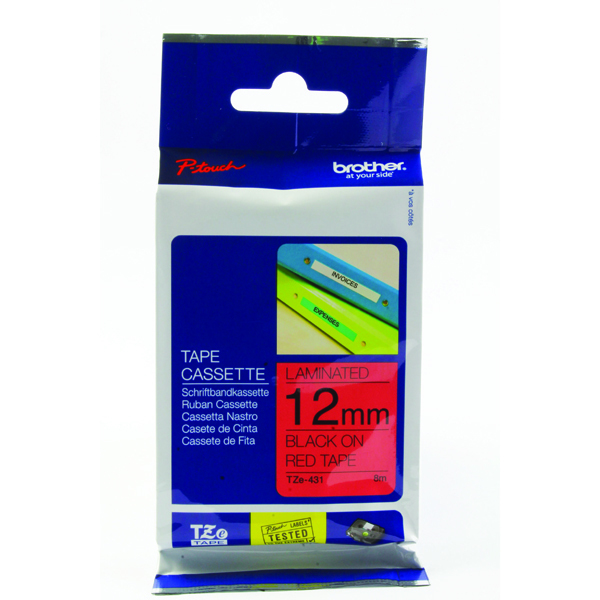 Supplied on a long 8m roll, this TZe labelling tape from Brother is perfect for identifying and labeling items with your P-Touch label maker, even in extreme environments. 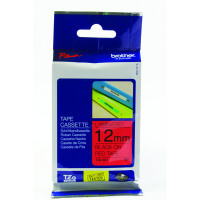 This 12mm wide tape is covered with a laminate film to protect the tape from wear and tear in daily use. The tape is also waterproof and exceptionally resistant to changes in temperature, so it'll stay attached in all weathers and conditions. Ideally for industrial environments, it's both chemical and abrasion resistant. Black text on a red background lets you colour code your labels for efficient use.